Winter is definitely the worst season. It’s fun for about a minute, when everyone is wearing hipster sweaters and drinking hot chocolate. Then suddenly, Thanksgiving is over, and you only have one more feast and giant gift exchange before winter really sets in. It’ll be full of bad weather, slowly deteriorating leggings and seasonal depression. But if you’re planning on moving, now is probably the best time. Because everyone is busy hibernating, even for the mild Chesapeake winter, nobody is thinking of packing up and moving their whole life to another part of the state, or an entirely different area altogether. So if you’re looking for better moving rates, the mild inconvenience of moving in the winter when you just want to cuddle on the couch and binge Netflix might be worth it. 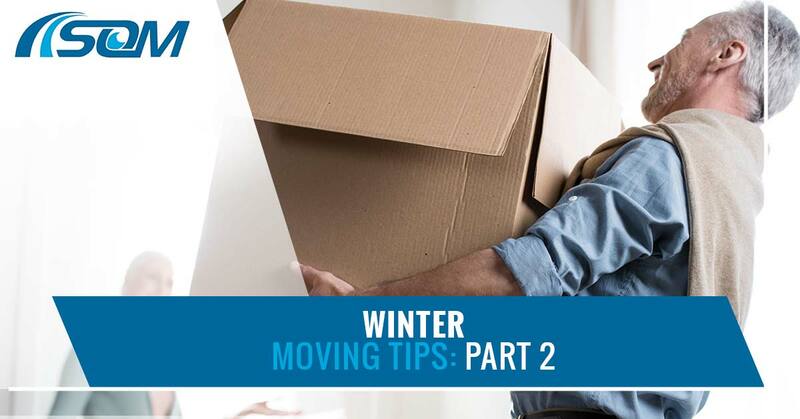 In our last blog, we talked about how to avoid inconvenience as much as possible during your winter move In this blog, we’ll explore the idea of how you can make this more pleasant than you previously hoped it could be. Winter is a season where your hands hurt when you step outside and temperature shock is constantly assaulting your body. So the need and want to be comfortable as long and as much as possible is hardly unusual. How can you manage this when you’ve got the doors wide open and you’re tugging stuff out of all the nooks and crannies in your old home? Drink hot cider, hot chocolate, coffee and other hot drinks (though we don’t recommend a hot toddy.) The sugar and caffeine will power you to get everything done faster, and the warmth will course through your veins and keep the drowsy winter feeling at bay for some time. Check the weather ahead of time. As in doing it the day before, when you schedule your moving day, and periodically as you keep up with the moving process. If the weather suddenly decides to get bad, you might have to make some adjustments to your moving schedule, as workers can only work in safe conditions and it wouldn’t be worth it to ruin your furniture and boxes with moisture. Be careful about watching the weather, as it’s easy enough to get completely absorbed in your work when you’re moving and forget to keep an eye on the sky. Be sure to have a backup plan if the weather gets bad. Don’t move on the last possible day and cause yourself extra stress. If inclement weather occurs and makes it impossible for Scott’s Oceana Moving to keep working, give us a call, and we can work something out. We’re here to relieve your stress surrounding this move, not make it more difficult. If you do end up staying a little too long because of the bad weather, contact the landlord or the real estate agent and see if you can negotiate extra days. With the weather of Chesapeake in consideration, you won’t have to worry about it lasting too long unless it’s a tropical storm. But that’s a completely different sort of emergency. When you’re ready to get your winter move on the road, give us a call. Whether it’s local moving, commercial moving or a long-distance move, we’re equipped to handle all of your issues as they come up. Reach out to us to schedule your move.